Hermann Rorschach (1884-1922) was born in Switzerland and a well known psychoanalyst and Psychiatrist following Freudian practices. While he was young Rorschach lost his mother later his father also. His father is an art teacher who encouraged him to do creative thing. 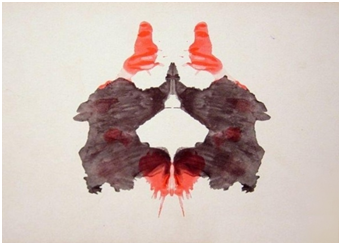 This inspiration helps Rorschach to develop himself “Klecksography” (Pictures are made by using Inkblot). German Biologist Ernst Haeckel advised Rorschach to register medicine and he registered medicine at university of Zurich in 1906. After served as an associated director in Herisau Hospital in Switzerland. He wrote a book based on his inkblot test called “Psychodiagnostik”. 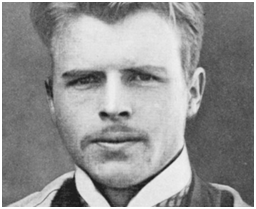 At the age of 37, Rorschach was affected by the “peritonitis” and unexpectedly died at 1st April, 1922. 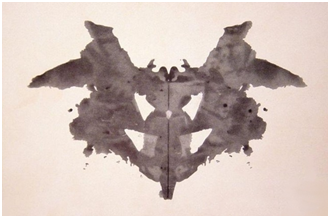 Rorschach experiment is based on the “Gebner’s General model of communication”. This experiment is one of the types in psychology. Rorschach used ink for his experiment and he pour some ink drops on the paper and then he folded that paper which creates an illusionistic image on the paper. For this test he used 10 cards and showed these cards one by one to the subject (patient). After the psychologist observe “How a subject who respond for these images or how he perceives it”. Based on this experiment they decide the subject’s personality variables such as motivations, response tendencies and personal/interpersonal perceptions. Today’s Modern arts are understood by this way. If they doesn’t find anything which satisfy his/her mind or to learn from the modern arts then they become frustrated. He used inkblot cards for his test. He showed these cards to the subject and tested “how they perceive the images. For this test he chose two persons called Piotrowski and Dana. Our way of thinking is based on our cultural background. So when we combine any external events with our own thinking which will explicit our cultural background. When different (cultural) people watching the same event, they perceive the event message in their own way. Most of our external thinking is also based on our culture. An Events (E) and a person perceive the event is (E1). Here, E1 is only a news source but not fully formed as news. Every man perceives the messages in their own way based on their culture. Whatever the Individual person perceives the message will not be perceived by the mass audience. So, the person should give a shape or a form (S). While forming the news the journalist write it in his own way based on his cultural background. Sometimes these types of form may embrace by their cultural ideas and the news content will not be neutral. The event based on globalisation happened in France. In this event, the two journalist where came to collect the information for their news channel. One person from United States of America and another one from Russia. See here we can clearly identify the cultural background of this two is Capitalist and Communist. Capitalist have their own positive aspects. So, the person perceives event in its own way but the communist have negative aspects. So, the formation of his may differ from the capitalist view. Same events but two view and Sometimes the views may increase based on the news makers.